In these videos you can learn how to butcher a pig, beef primal, and a whole lamb, to take apart a whole tuna, and to make pasta by hand. Or rather you can see how an expert does so. I think the unmissable idea is that there is a certain kind of knowledge preserved in these videos: to really learn how to do these things, it would simply take time and repetition and the absolute commitment to the task. You can see this in the hands that are moving so intuitively in each of these videos that there is a special kind of knowledge that resides in the hands of true craftspeople. This artfulness is, perhaps, most in view in the most recent video in which Shuichi Kotani demonstrates how to make soba noodles by hand. Unsurprisingly, this seems like a much more simple task than it is, but what appears on screen is so subtly full of craft and instinct that it also serves as a lesson in what expert hands really look like. I'm not sure I will even endeavor to make soba in the way that Shuichi Kotani does, but every time I watch this video, the world somehow makes a little more sense. Perhaps one day, I will be able to manage to bring such expertise to the objects of my own craft. One can always aspire. @Zachary Couldn't agree more. Not only could I not film the way they do, I can do nothing as well as the butchers, cooks and makers do on their channel. I'm constantly blown away and constantly going back to their videos! 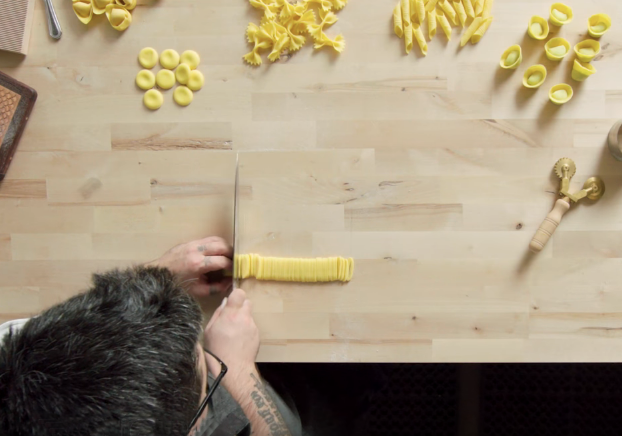 I cannot express how much Bon Appetit is my favorite Youtube Channel. They have and show a kind a of passion for food an its craft that is unrivaled in the space. I am glad someone else out there loves their stuff as much as I do.